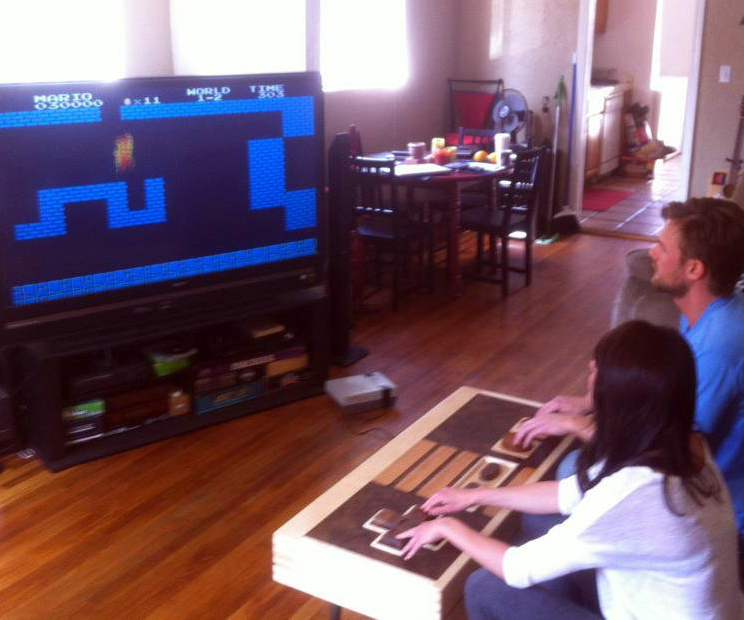 What holds feet, beer, and the controls that will drive your world-record-setting Tetris score? 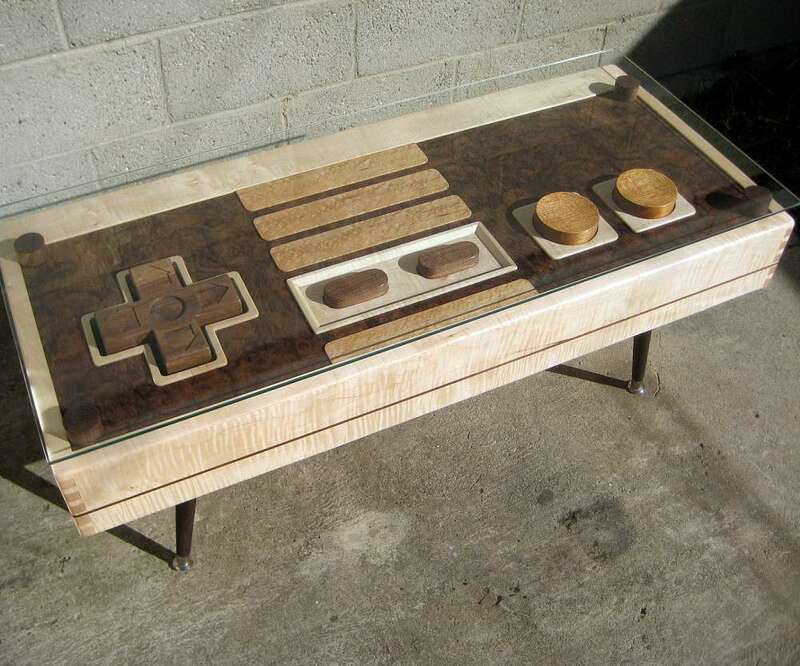 Feast your eyes on the fully-functional Nintendo Controller Coffee Table. 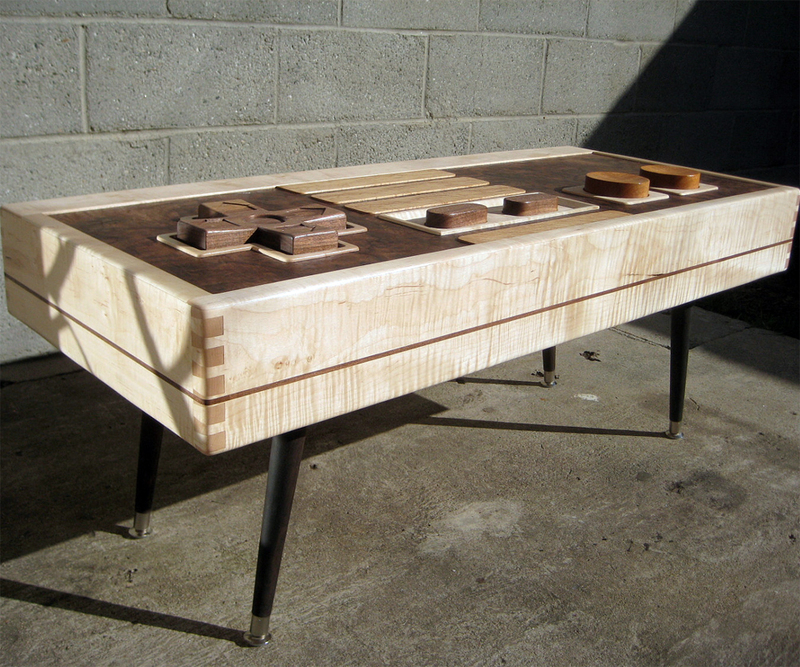 Charles Lushear has entwined old school entertainment, old world class, and a better understanding of electricity than we've ever had to cultivate this masterpiece of maple, mahogany, and walnut craftsmanship. When plugged into the classic NES we're now so glad we didn't get rid of, all of the supersized controller's buttons become as operational as their traditional plastic counterparts. The table is also fitted with a removable glass top and retractable cord to enable dual use as an actual piece of furniture when gaming fingers are tired, or you're just more in the mood to ogle its rich woods, precise carpentry, and presence in your living room instead of the jackhole next door's. 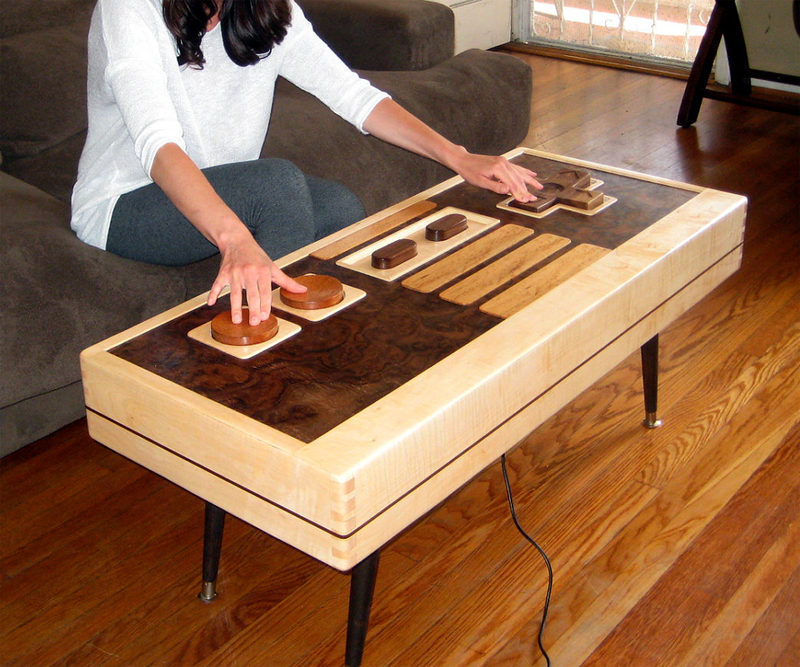 One more orgasmically cool thing about the Nintendo Controller Coffee Table? Dude I Want That has procured the elegant piece of home decor/childhood, and after running Link a few laps around Hyrule and saving Zelda, we're going to give it away to one lucky reader. Entry requires minimal physical and mental effort. Mostly public acknowledgement that you like us, and we're friends. Click here for full giveaway details and rules. 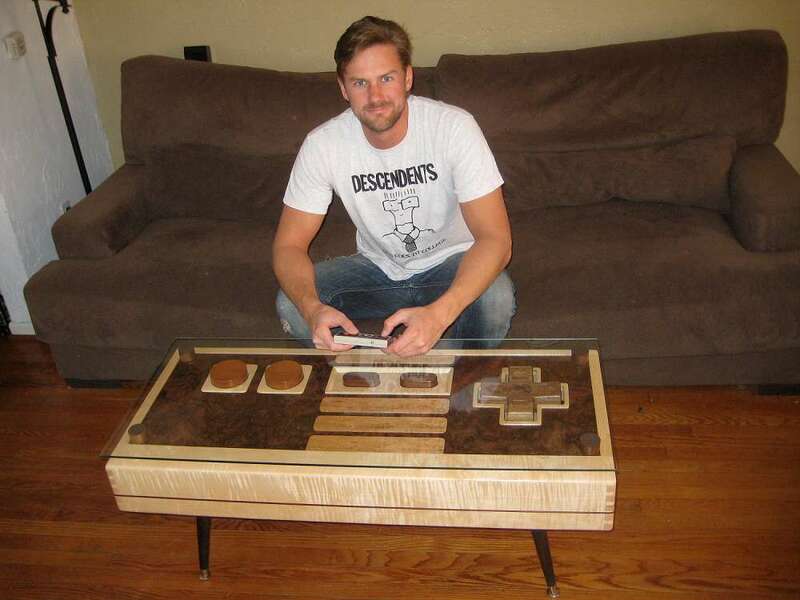 For those of you already planning your future with the Nintendo Controller Coffee Table, its dimensions are 42" long x 18.25" wide x 18" high. 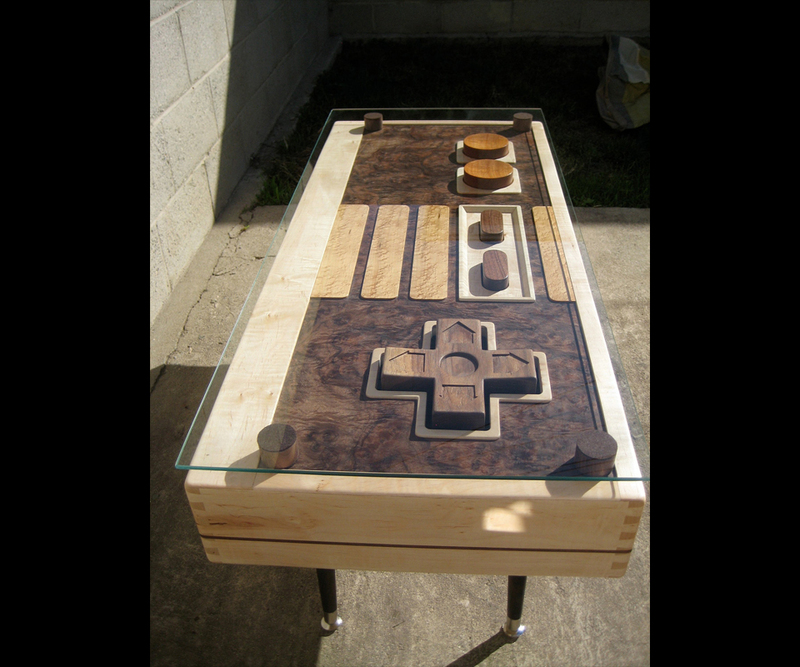 Read full details, and ask mastermind Mr. Lushear questions about his bundle of gaming awesomeness, on the table's Etsy shop listing. Now. Who's ready to stop playing Giant Land in Super Mario Bros. 3, and start living it?